The Forest Is Waiting�detail,�Forged Steel, Leaf-Shaped Bench and Blueberry panel. 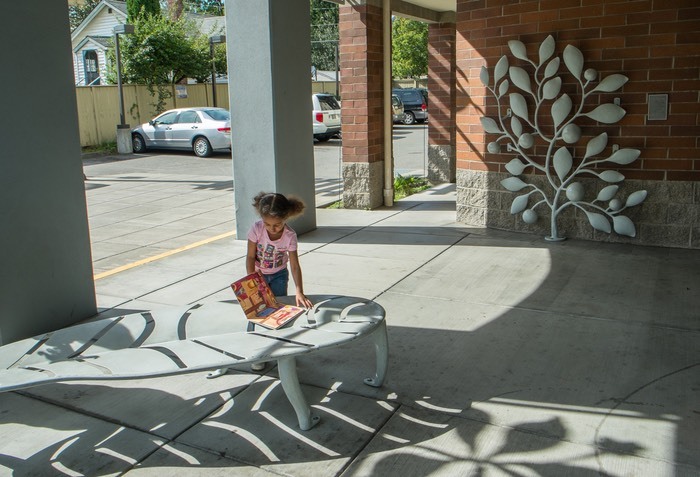 Delridge Library, Seattle, WA. �Commissioned by the Seattle Public Library and administered by the Seattle Arts Commission. �Whitesavage & Lyle Inc. � 2002.